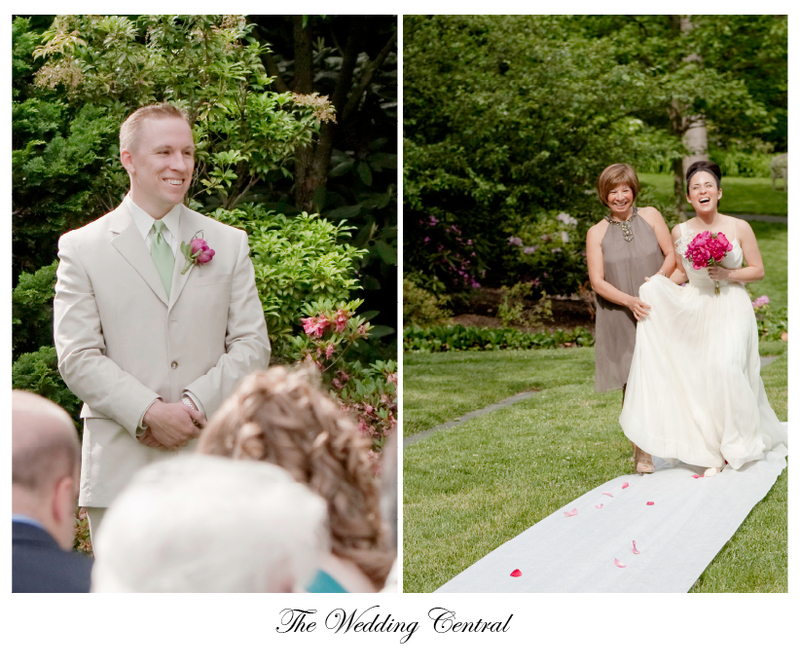 New Jersey Wedding Photographers - NJ NY Photography | Photography FAQ – What is a First Look? Photography FAQ – What is a First Look? So what is a first look? Since that notion has become more popular, many brides ask that question because they are not really sure what it means. A first look is a moment staged and set up by a wedding photographer for the bride and groom to see each other before the ceremony. Normally, bride and groom would agree with your wedding photographer on site away from family and friends to give them privacy and to make that moment just for them. Ok, not really away, but a few feet away. The groom would be looking away -at the wedding photographer – while the bride starts walking down towards him. She will tap his shoulder, and he will turn around and see his beautiful bride for the first time. After they have had a moment to themselves, we head to take some bride and groom portraits, then of course we take pictures with the family and the bridal party. We tuck away the bride before guests arrive. That pretty much sets you free to relax and enjoy your wedding. Certainly, I don’t impose myself on any of my brides and grooms, but whenever I am asked for my professional opinion, I recommend the First Look. Here is why. A lot will happen on your wedding day; a couple in love will get married, greet guests, mingle, have a first dance, dance with parents, eat, toast, have a bouquet and garter celebration, cut the cake, have their bridal portraits, and portraits with bridal party and family. If the ceremony and reception will happen at the same place, all that will happen in five and half hours. By having a first look, you are basically adding two more hours to your wedding day, which means that you will get two hours of photography instead of the forty to forty five minutes you end up having if you are having your pictures taken during the cocktail hour. This translates to having more time for those magazine bridal portraits you like, and for more candid and fun pictures with your bridal party and family. Since you already had your pictures taken, you can actually enjoy your cocktail hour, which means that both of you can eat, and be happy. If you are not having a private cocktail hour, you can mingle with your guests, and greet them during this time. This is such a great time for candid and photojournalistic pictures. Yes, you will be giving something up. The first time he sees you at the altar wearing your wedding gown, but he will still be just as happy to see you walking down the aisle. 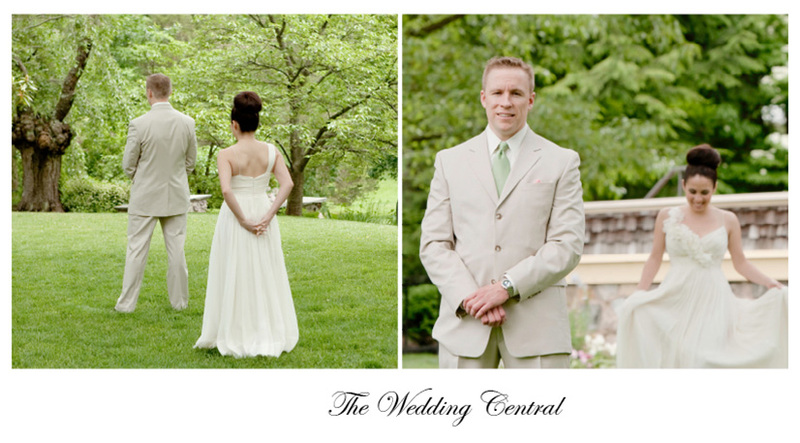 Voted Best of the Knot Weddings and among the New Jersey’s Ten Wedding Photographers and Wedding Videographers. 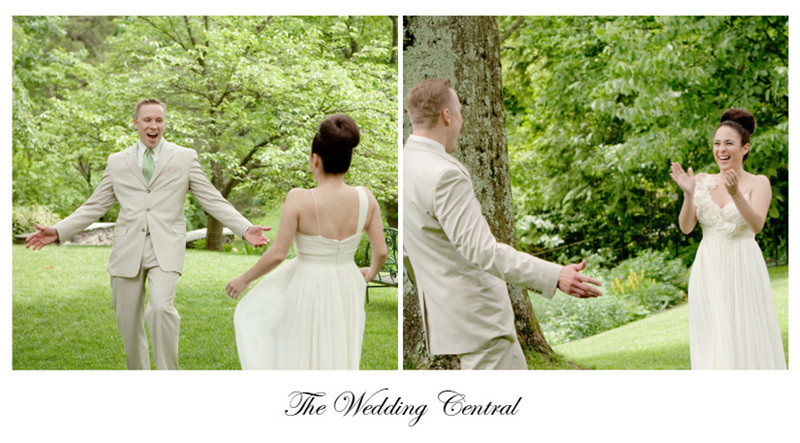 The Wedding Central is a wedding photography and wedding video studio owned by Award Winning Wedding Photographer and Wedding Videographer, Gaby and Danny. The studio is located Northern New Jersey and serving Bergen County NJ, Northern, Central NJ, Jersey Shore and New York City Metropolitan area.